Why not keep your aircraft hangared in Oxfordshire, at a more affordable rate, with easy access and friendly club atmosphere? Oxfordshire Sport Flying offer dry and clean hangars to help protect your aircraft from the worst of the British weather. Please call us for details on 01608 677208 for more details on hangar space. 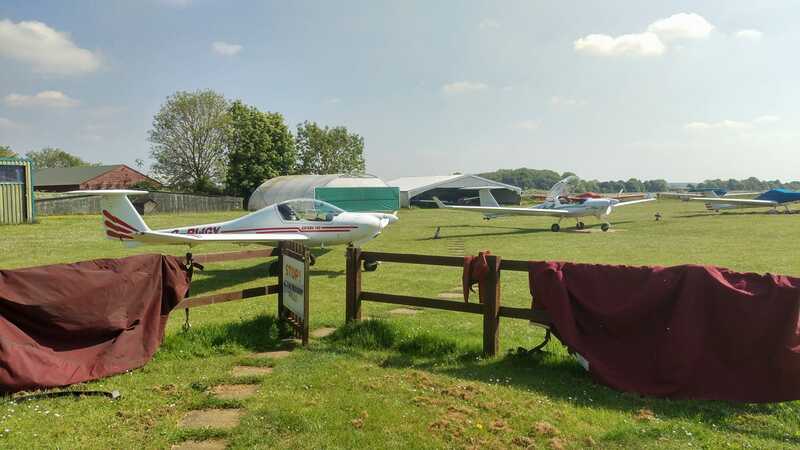 With the full use of a hard tarmac runway (1100m x 50m) and grass strip (800 x 50m), well appointed clubhouse with a full host of facilities and located in quiet Class G airspace, we’re sure you’ll find flying from Enstone Airfield an absolute delight. Our airfield location is also perfectly located for reaching Soho House or Heythrop Park Hotel close by, or to visit the Chipping Norton area. Give us a call today on 01608 677208 for more information.